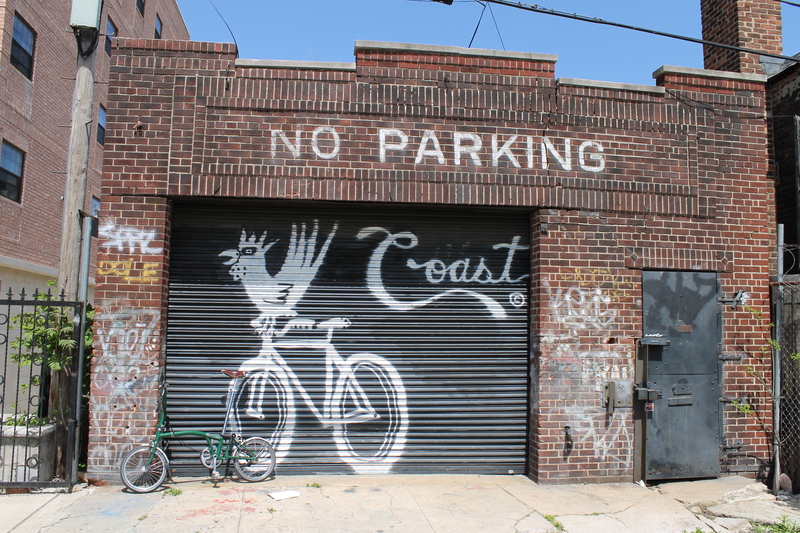 After waking up on Lance at SquareBuilt’s very comfortable couch, I made a call to Johnny Coast to ask if I could come and snoop around his workshop around the back of Troutman Street, and he kindly agreed. 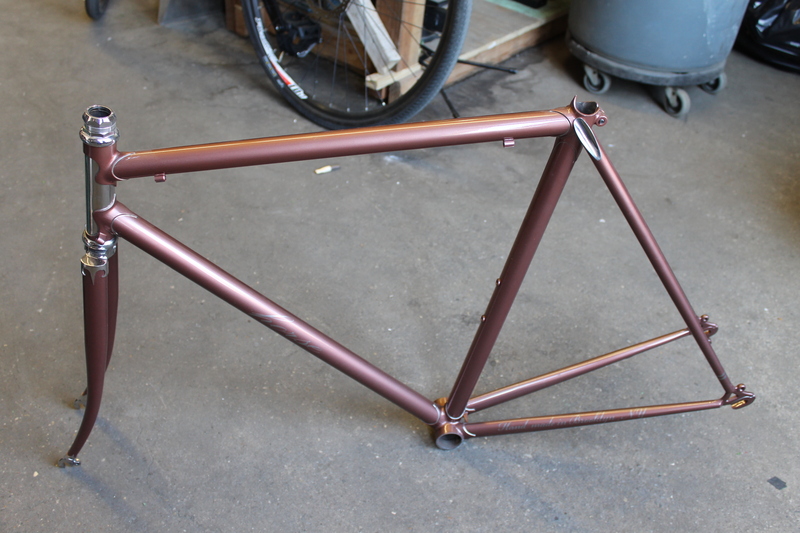 I really like Johnny’s classic style of frame building ( http://www.johnnycoast.com/ ). 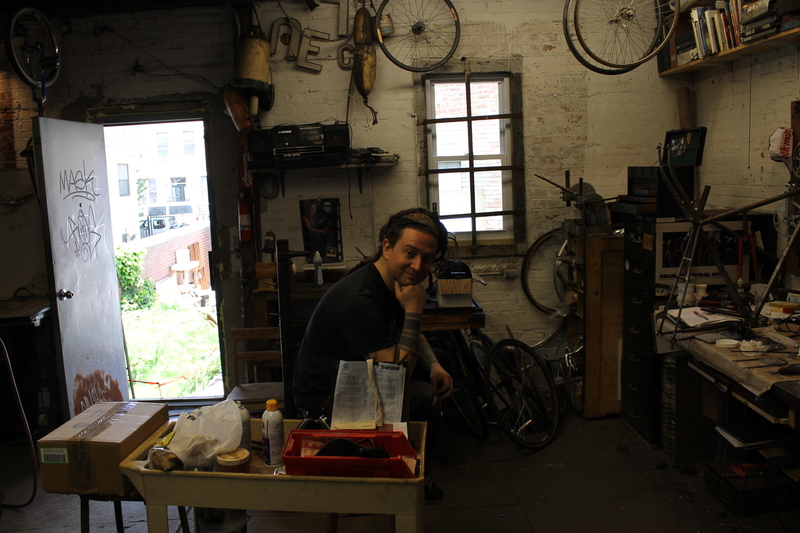 Johnny has been making bike frames for about 7 years now. 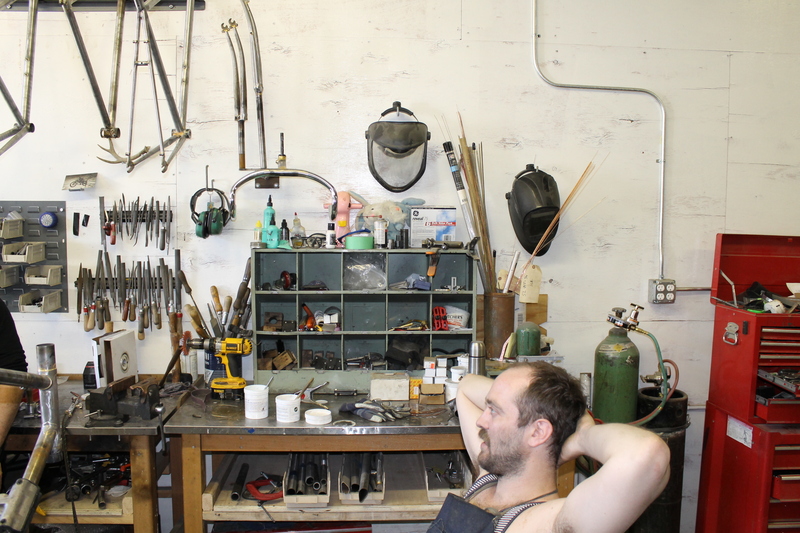 Learning the basics of welding and using a torch from his hot-rodder father from the age of 12, Johnny had a good grounding in metalwork, and when he decided he wanted to make bikes he went to study at United Bicycle Institute (UBI) in Portland, Oregon. 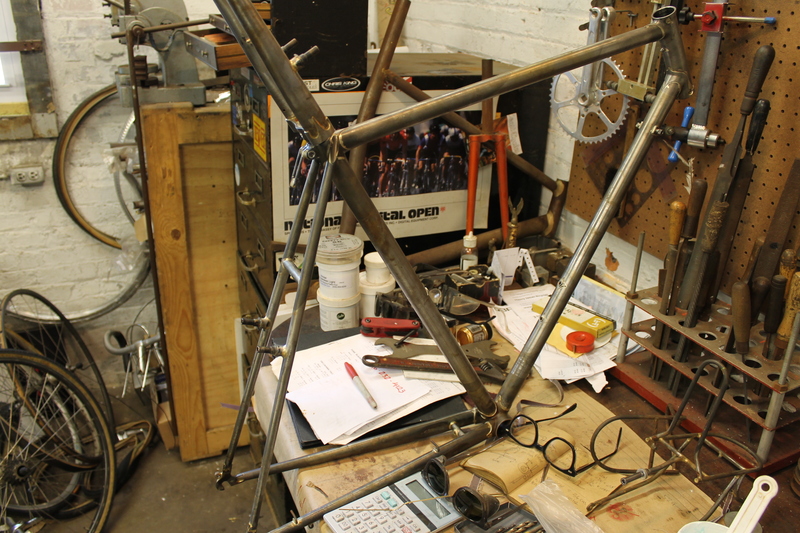 Johnny also studied stem building with Yamaguchi in Rifle, Colorado, where he learned to fillet braze, then he started building in his own workshop, which he shares with fellow frame builder Seth Rothko. 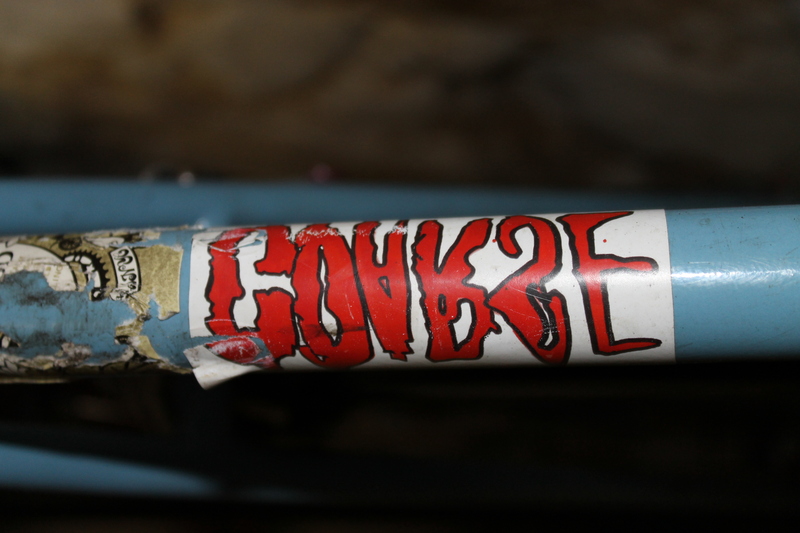 Johnny specializes in the classic lugged steel/chromoly style of bike frame, mainly road, randonneur, track and touring frames. 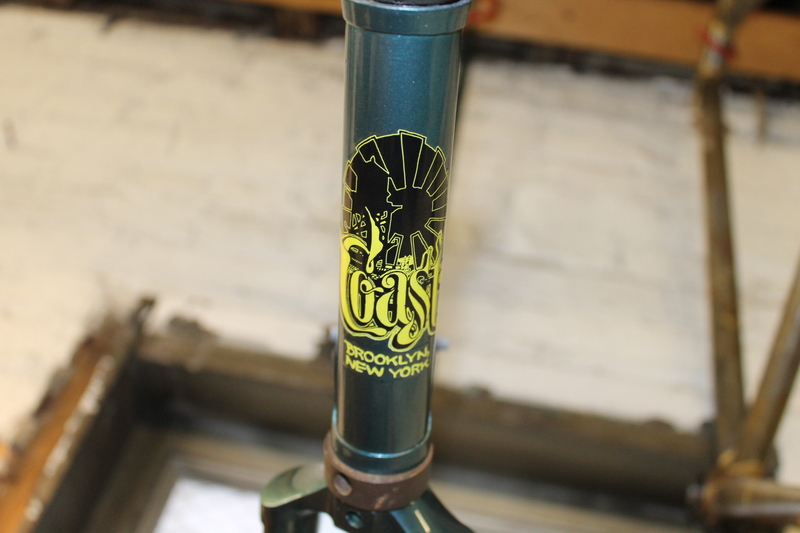 For a time, Johnny built custom frames for Velo Orange, and he also makes custom stems and racks. A work in progress on Johnny's bench. 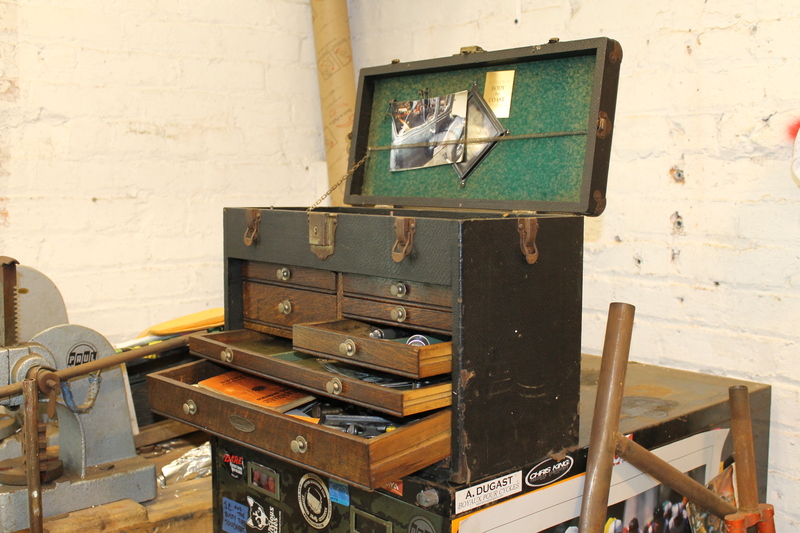 Johnny shows me his grandfather's toolbox, now used for making frames that blow me away. 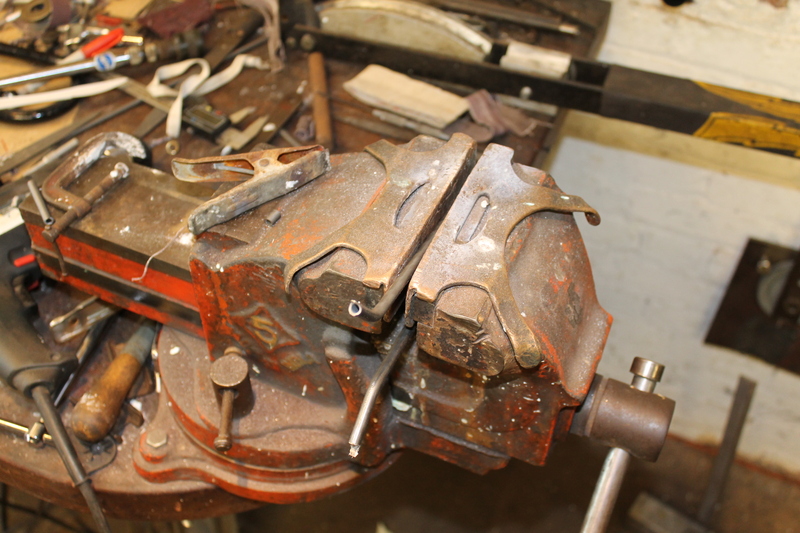 Part of a rack is carefully filed, held in a vice with soft copper jaw faces. 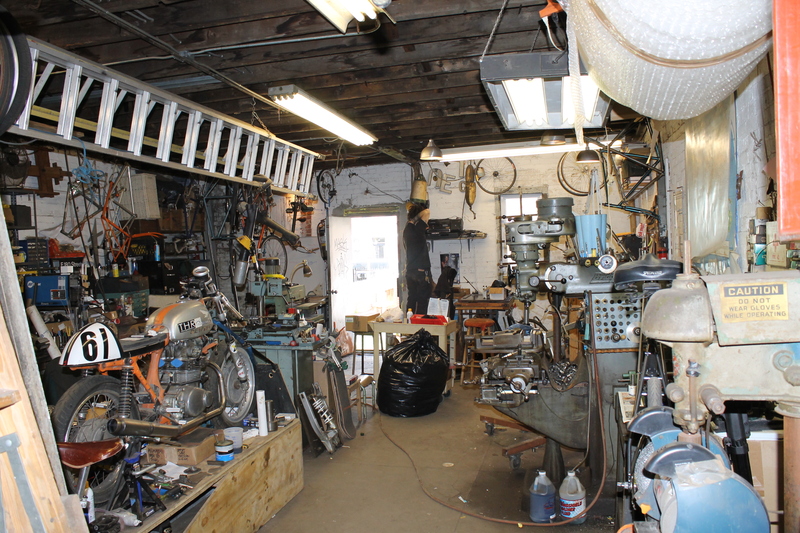 Johnny Coast's workshop. Great things happen here. I had to pedal furiously on the Brompton to keep up with Lance’s urban steed! 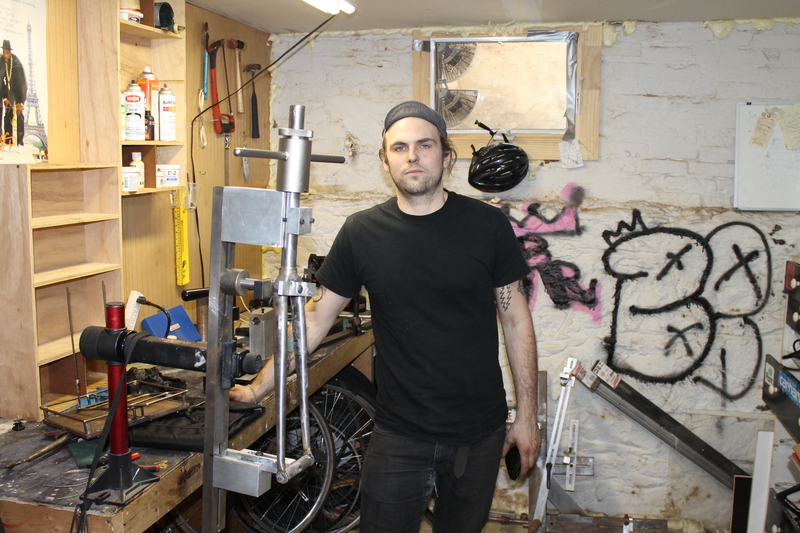 Thomas started building frames in 2006, and builds mainly road bikes, urban bikes and city bikes, using lugged construction. Thomas is self-taught, but also learned things from other builders such as Johnny Coast and Jamie Swan. Inside the Horse workshop, although they call a workshop a shop here. They call a shop a store. Thomas takes it easy. This man is content in his work. Thomas showed me his Anvil mitre fixture. 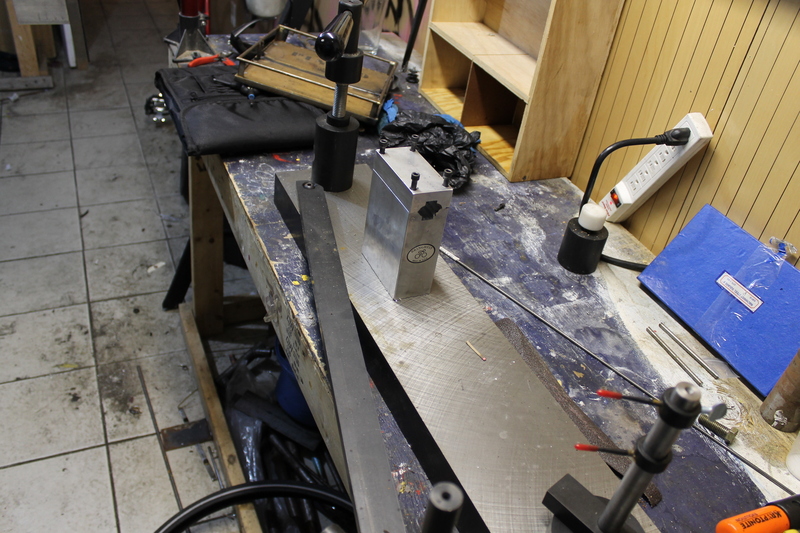 It turns on a rotary table. 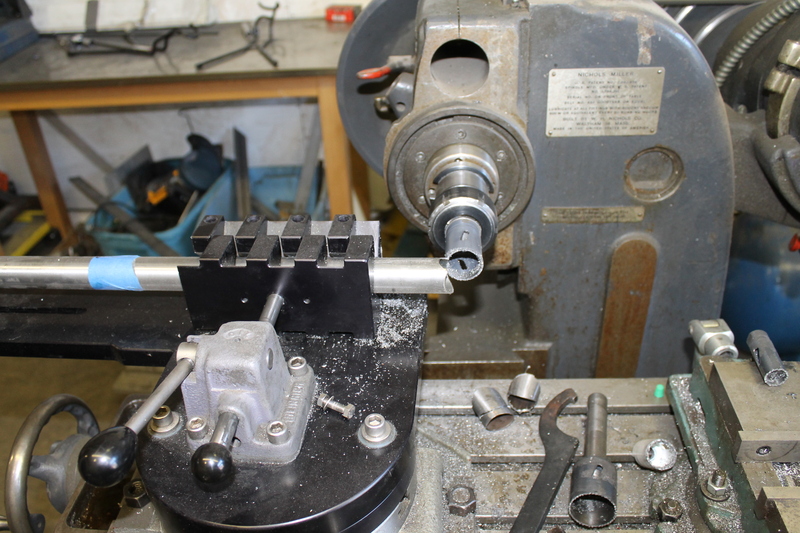 Here it's set up on a horizontal milling machine. 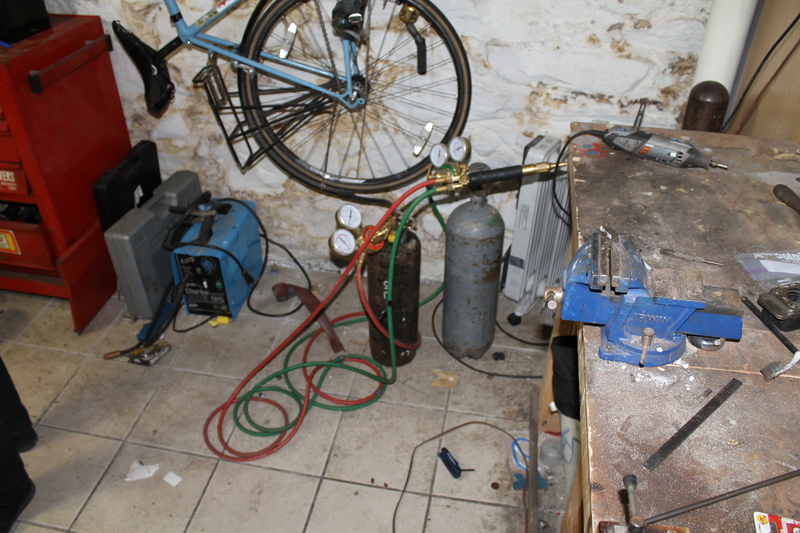 I was impressed by the compactness of the setup, and Thomas said he was really pleased with it. 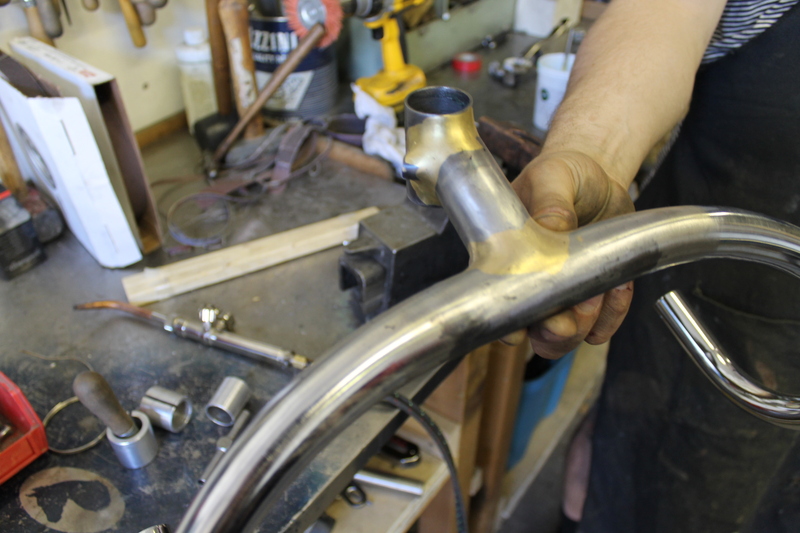 A very nice fillet-brazed handlebar-stem. I liked this part-chromed lugged frame by Horse. The customer was a girl who wanted the paint to match her lipstick! Thomas showed us his new paintbooth. 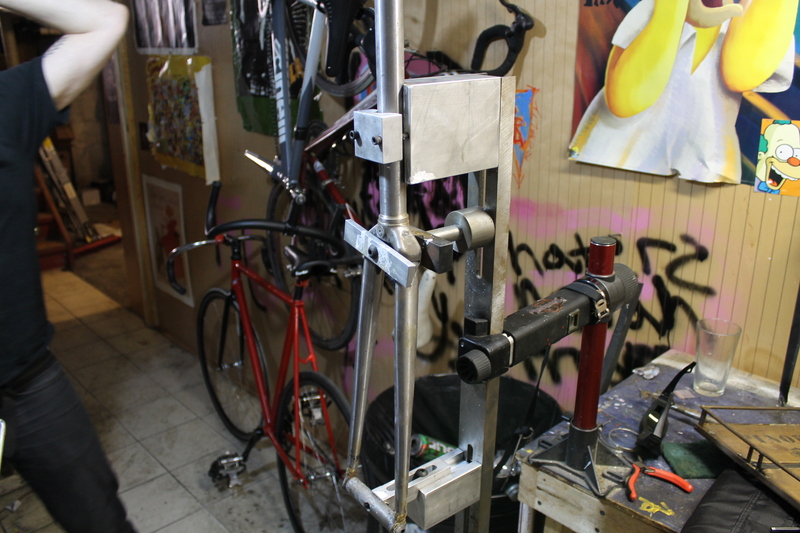 He has a stand that can clamp the frame at the bottom bracket, so that he can walk all around the frame whilst spraying. 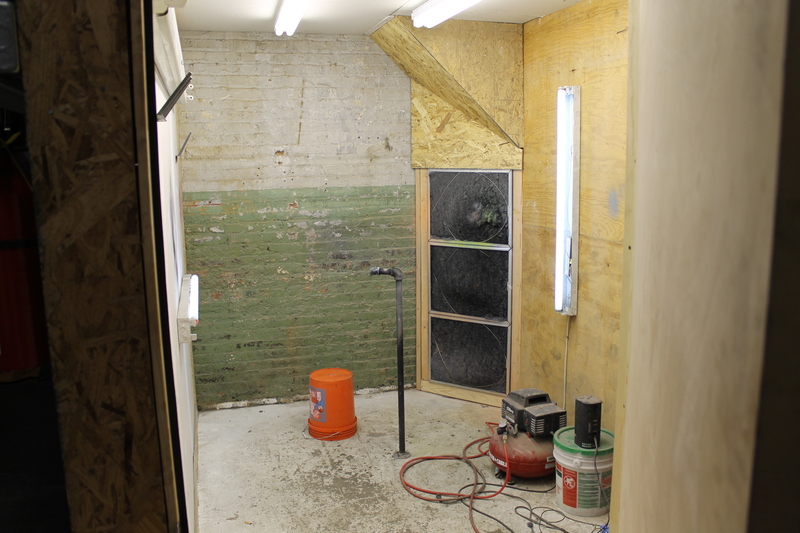 It was interesting to see what could be done in a small space like this. 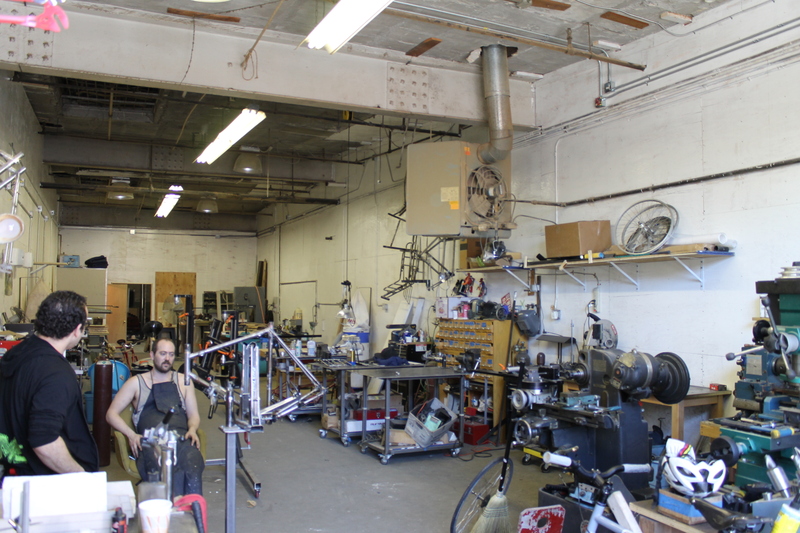 Years ago in the US and the UK, many good bike shops had a frame builder on site. 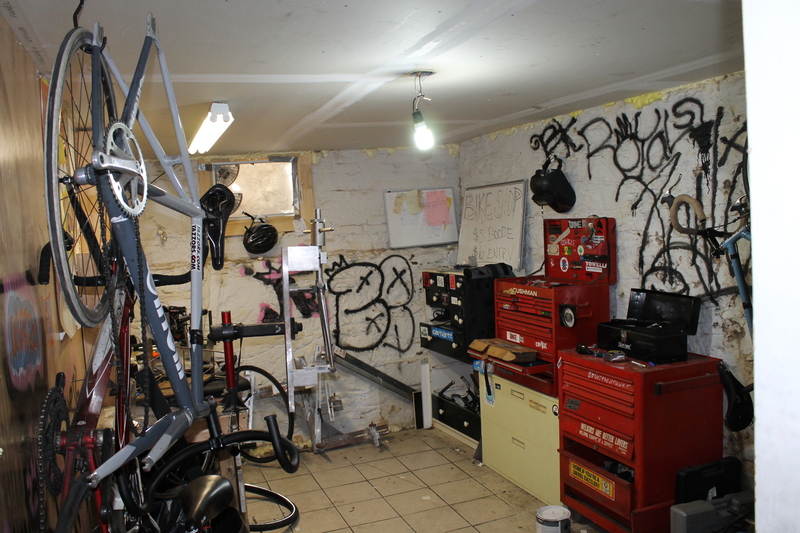 Small workshop in the rear basement of a bike shop. 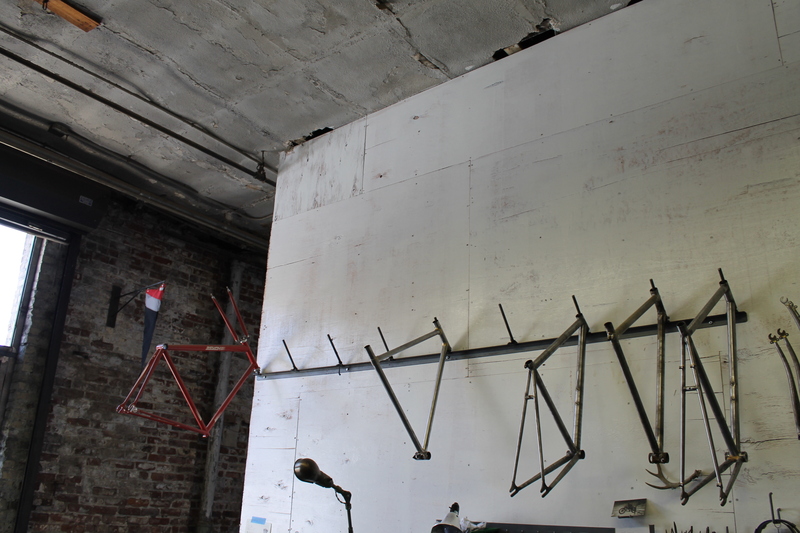 STILL TO COME: I talk with Lance Mercado at SquareBuilt Cycles about his bikes and working as a frame builder in Brooklyn. Don’t miss it! 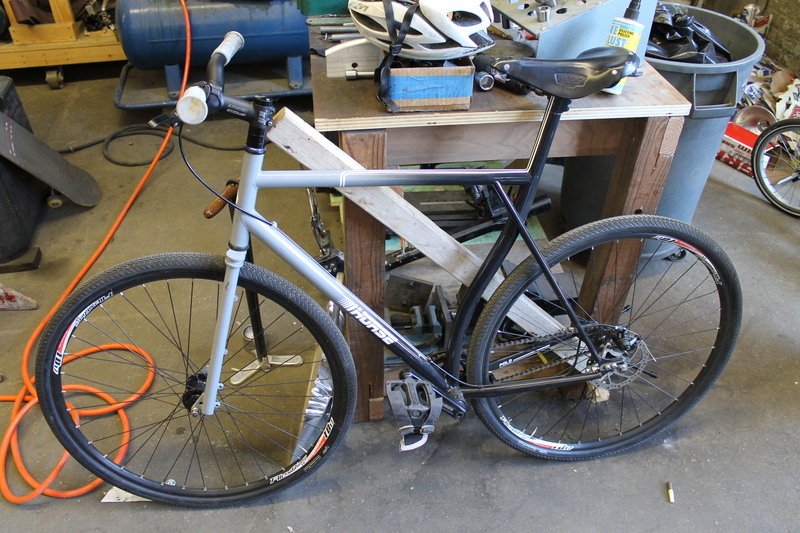 ALSO: Possible trip to a bamboo bike maker, and possible trip to Philadelphia to visit more frame builders… Stay tuned.